Jordan Unit and Baten Transfer Facility are co-located on 1,211 acres in Pampa Texas. The facility is named after a former sheriff of Gray County named Rufe Jordan. The Jordan Unit operates as a minimum to medium custody facility and has the capacity to house 1,008 offenders. Baten Transfer Facility houses an additional 420 offenders who are classified as transient transfer inmates. The compound is surrounded by a fence topped in razor wire and secured by two towers and pan-zoom cameras. Jordan Unit is comprised of four buildings that house offenders, each of which contains three winds with 42 two man cells in each. Baten Unit houses inmates in a dormitory setting and consists of three dormitories with three wings in each dorm. Outer wings contain 48 beds each and the center wing contains 42 beds. Inmates incarcerated at Jordan Unit can work in agricultural operations that include contract grazing, raising and caring for security horses and canines, and growing edible crops in the unit garden. Offenders are provided educational programs that include adult basic education classes, literacy courses, and the chance to earn a GED during their incarceration. Vocational training is also provided in automotive technology. Select inmates can provide supervised labor services to surrounding government agencies, including the Texas Department of Transportation and the Division of Parks and Wildlife. Visitation for inmates incarcerated at the Baten Transfer Facility and Jordan Unit occurs on Saturdays and Sundays from 8am to 5pm. Visits are a maximum of two hours long. 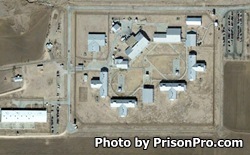 Inmates are limited to one visit per weekend.